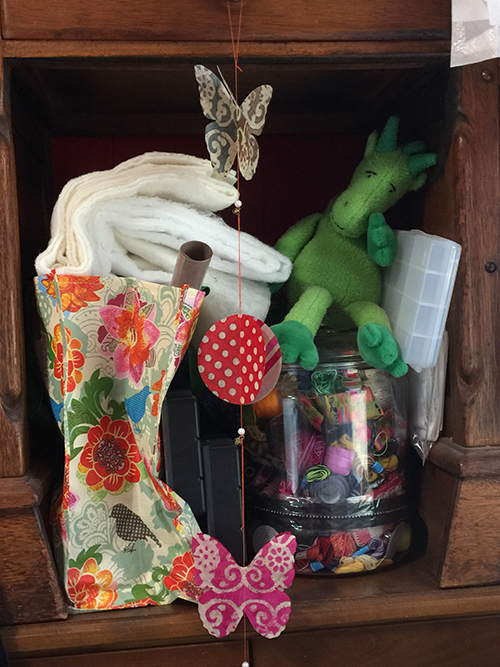 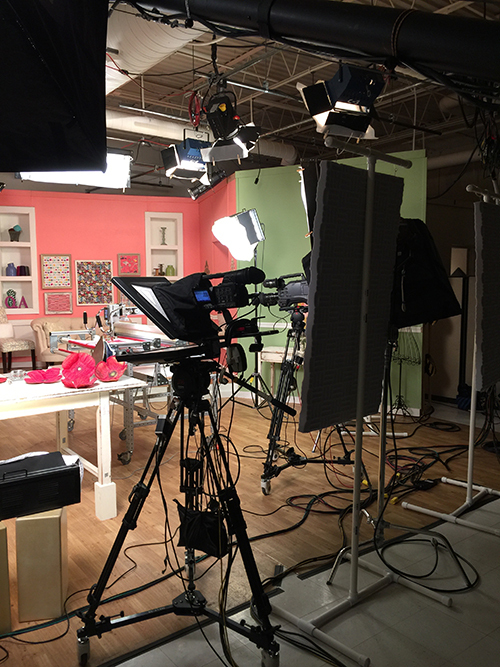 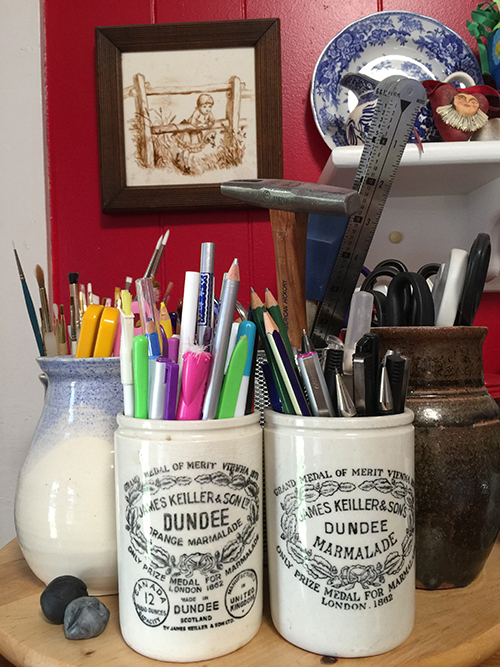 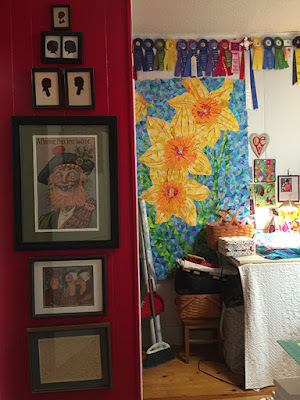 Thought you might like a peek inside my studio. I cleaned it up a few weeks ago before starting on two new pieces, so it is tidier than usual! 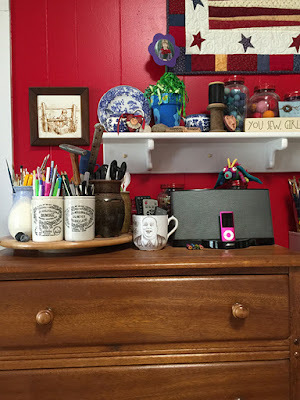 My studio was our guest bedroom until I painted it red and my mom stopped wanting to stay overnight with us (she claimed the red color made her feel “like she was sleeping in hell”) and I took it over about 10 years ago. 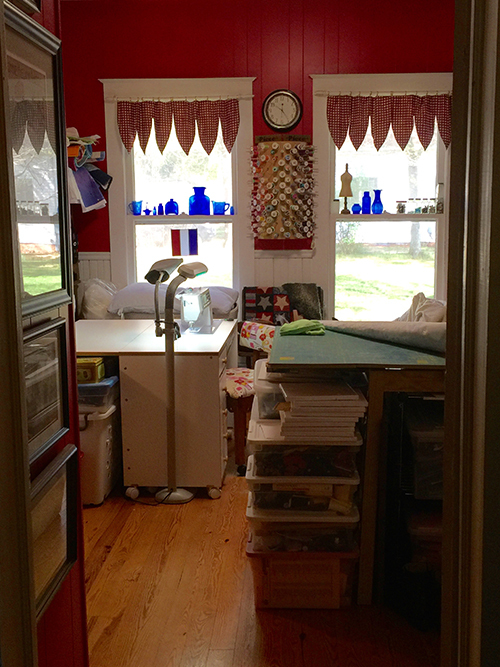 It is 14' x 14', minus my husband’s closet, which we think was built in the sixties. 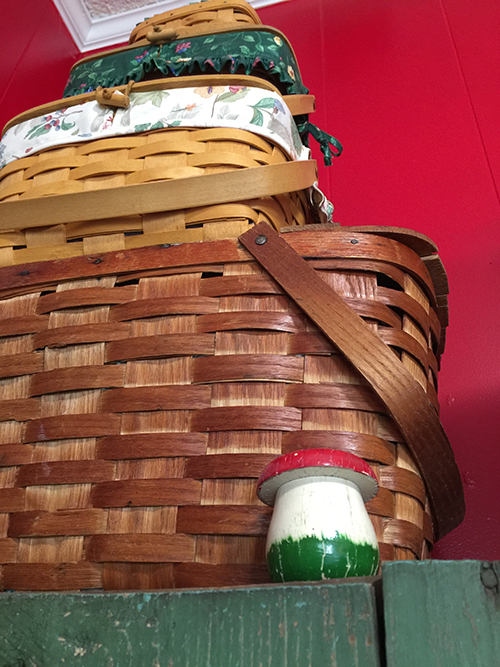 (Our house is 100 years old this year, so it doesn’t have any closets that are original to the house.) As you will notice, I am not a minimalist. 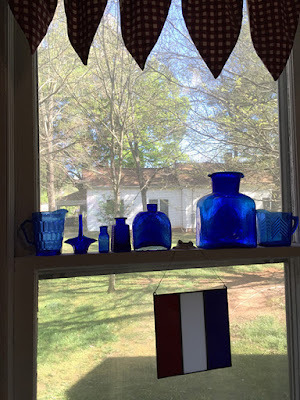 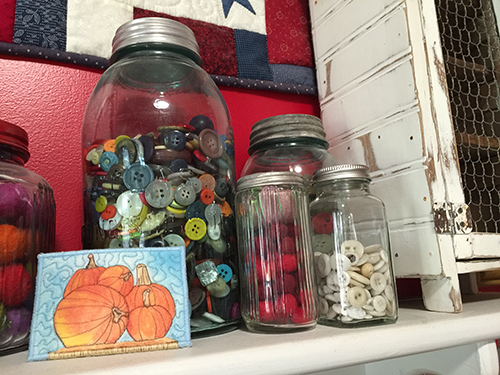 I have lots of little vignettes around my house, and lots of cool old stuff I love, and lots of collections to inspire me. This is a new piece, “Resurrection,” in progress. 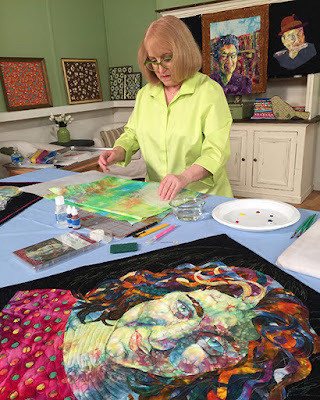 I started this piece in early April, and it was the first time I was back in my studio working since my husband Rob had a seizure, and doctors discovered a meningioma, or calcified mass, in his brain. 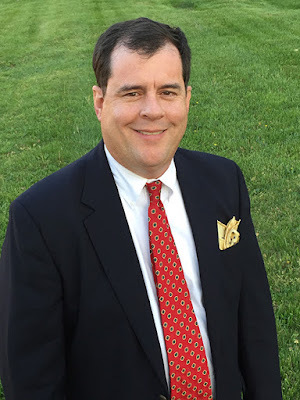 He had the seizure at 6:45 a.m. on Feb. 2, just as he was leaving with our 15-year-old daughter to take her to basketball practice at school, and then heading to work. 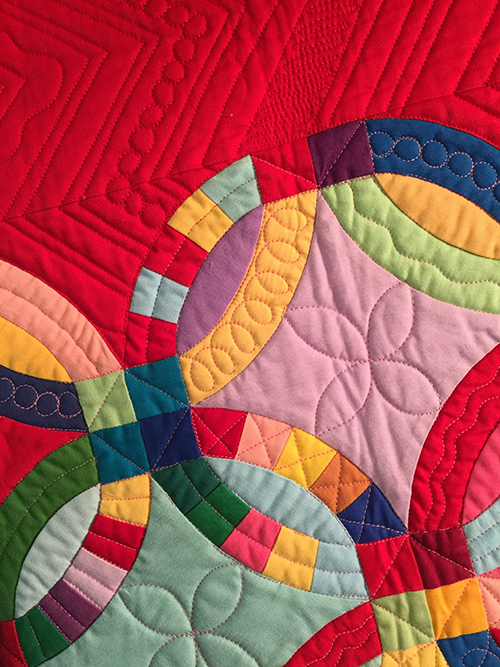 If they had left five minutes earlier, they would have been driving on the interstate when it happened, and things would have been far worse. It was a severe seizure that lasted at least 4-5 minutes, and I thought he was going to die on the floor in our hall, in my arms, before the paramedics could arrive. 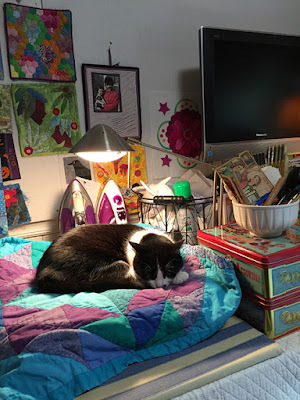 He was in the hospital for several days, and is now doing well on medications to prevent future seizures and to shrink the swelling around the mass. 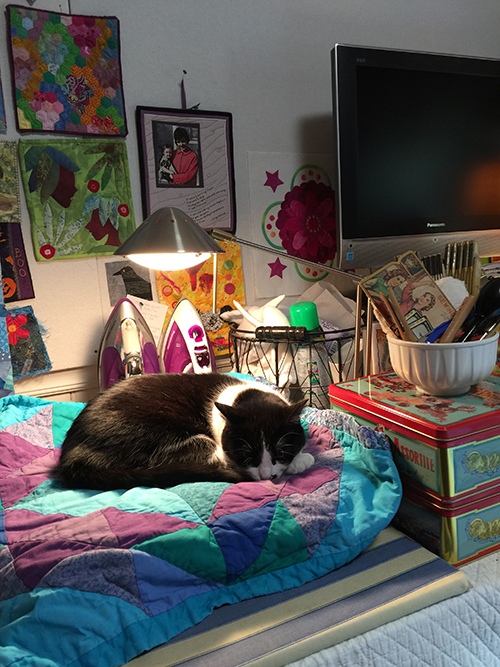 Surgery is not recommended because of the delicate place where the mass is located, so we are in a holding pattern for now. 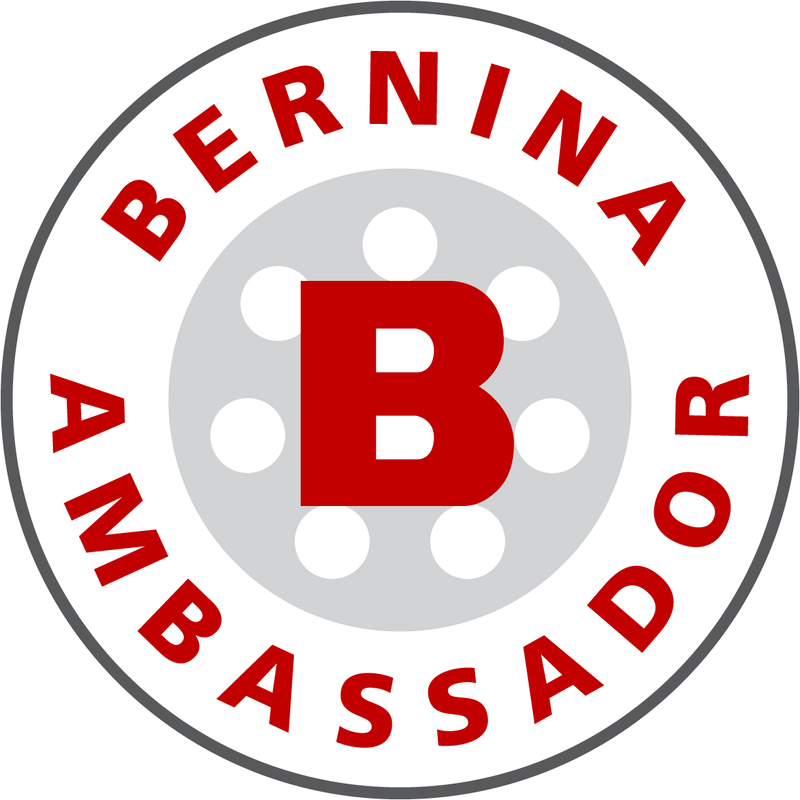 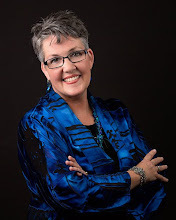 An event like this has a way of changing the way you think about life. 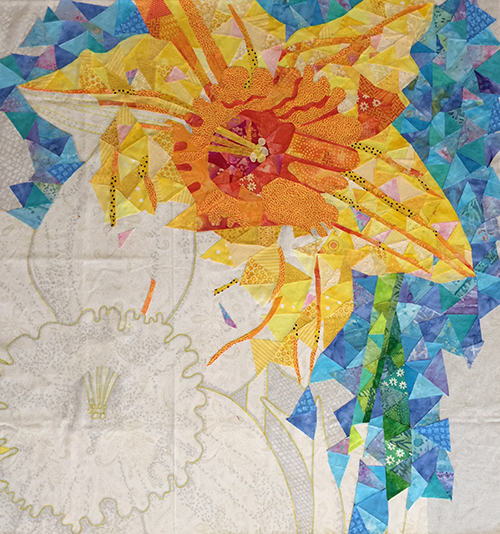 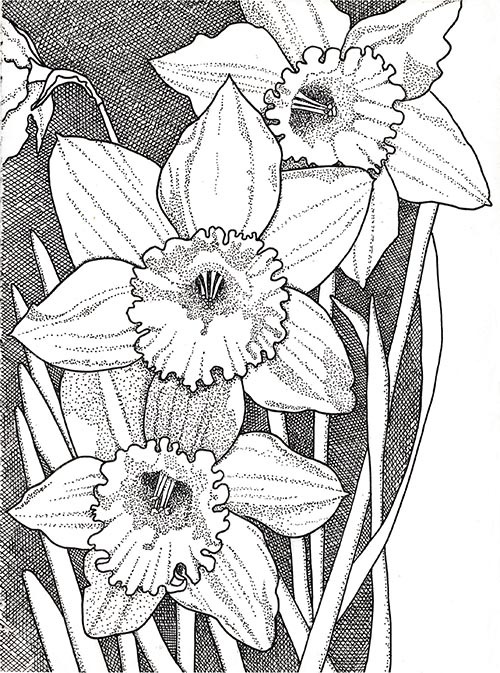 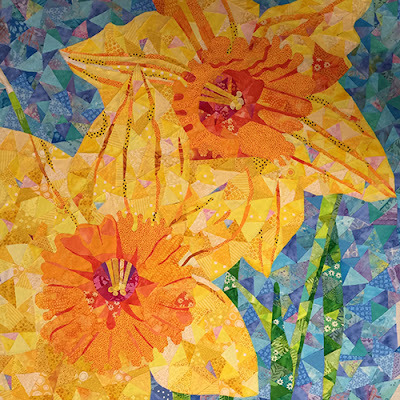 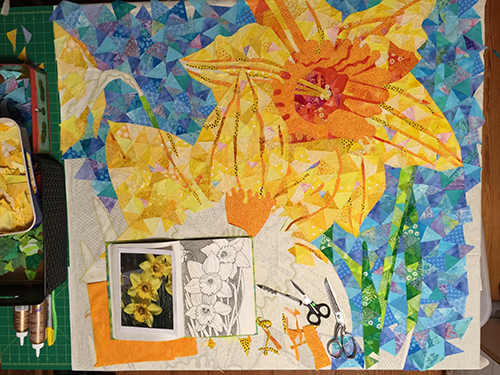 I have wanted to do an art quilt based on daffodils for years. 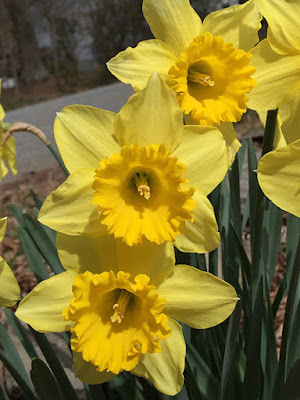 This spring, I have taken lots of photos of daffodils. They are my favorite flower, a symbol of rebirth and renewal, a bright yellow ray of sunshine in the snow. 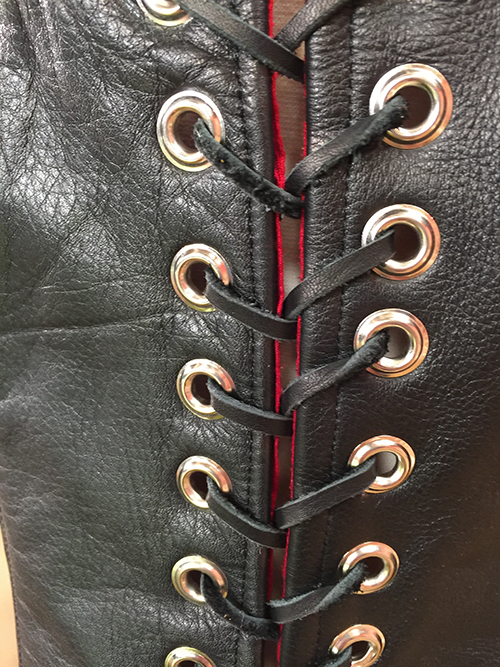 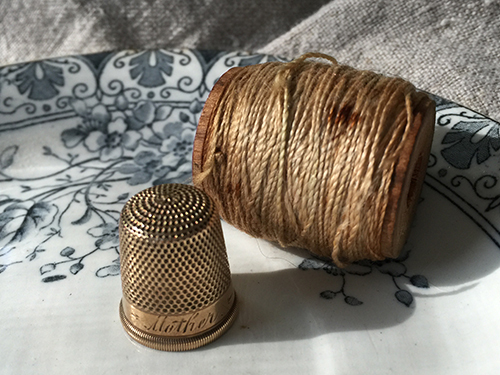 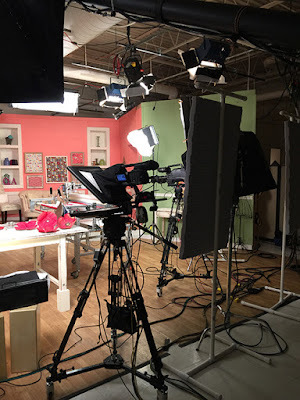 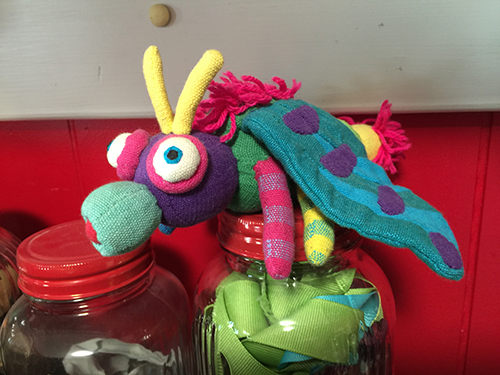 As my husband and I made our way through his diagnosis, adjusting medications, getting to doctors’ appointments, and lots and lots of driving (for me, since he will not be permitted to drive for at least six months), I became more and more eager to do something creative, and to get back into my studio. 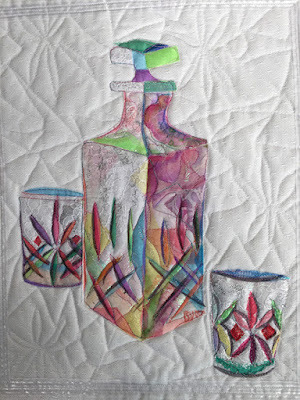 After sketching from one of my photos as I flew to the shoot for “Quilting Arts TV” in March, I decided that when I could start a new piece, this would be it. 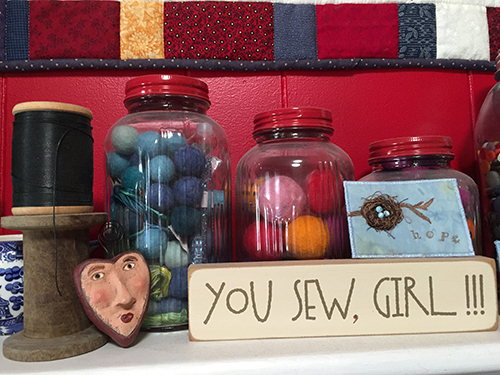 Fitting, especially in light of my husband’s situation. This is a different technique for me. 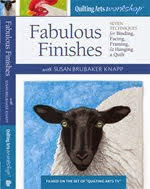 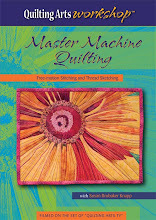 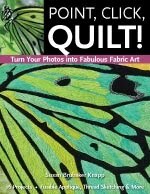 It is a collaging method, similar to that used by Bonnie McCaffery, Susan Carlson, and some other art quilters. 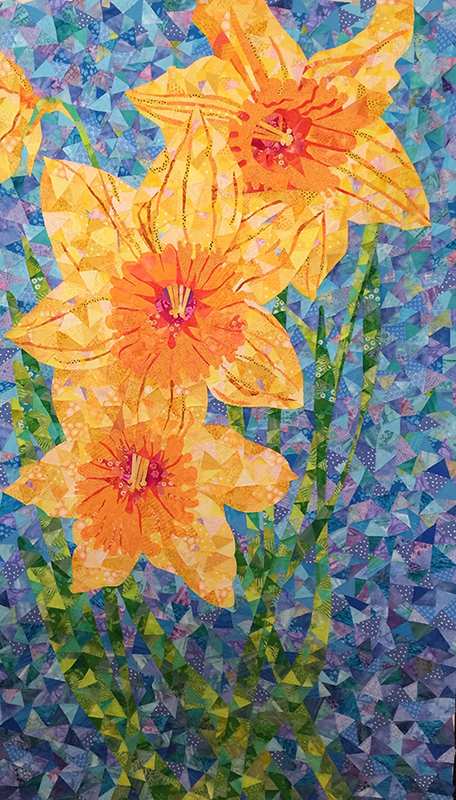 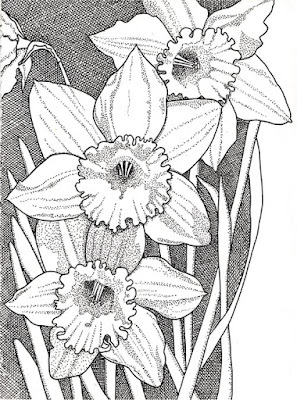 Except that almost all the pieces, besides those at the flowers’ coronas, are triangles, which gives the piece a faceted appearance. 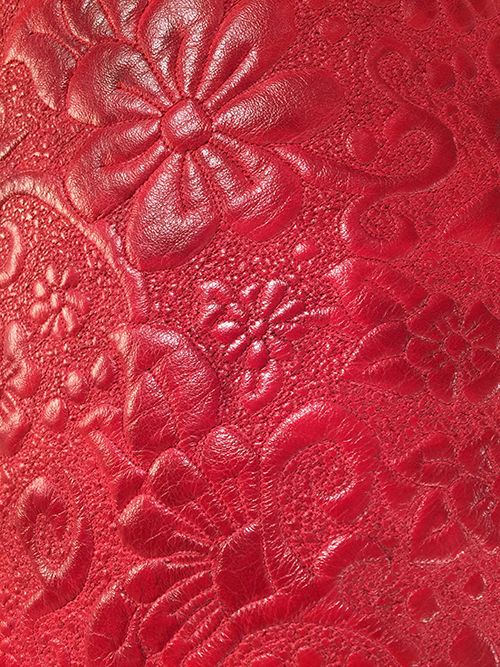 It’s a kind of fabric mosaic. I was striving to create the effect of light coming through the petals, making them glow. 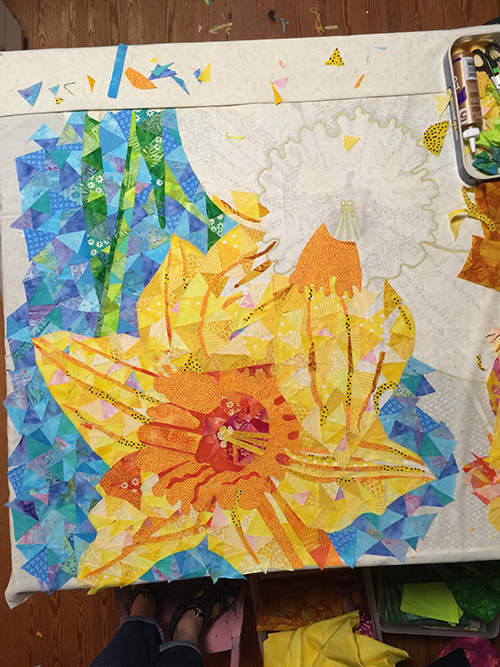 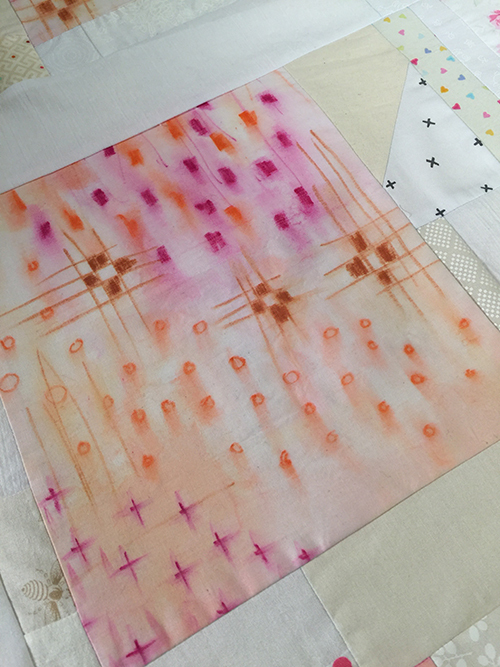 An enlarged copy of the drawing is underneath the base fabric, and then the pieces are tacked down with glue. 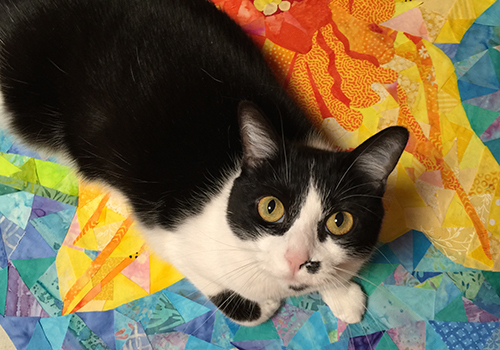 Wicked (below) is eager to help. This is a bigger piece than I’ve done in a while; it will probably be about 40x60" when finished. 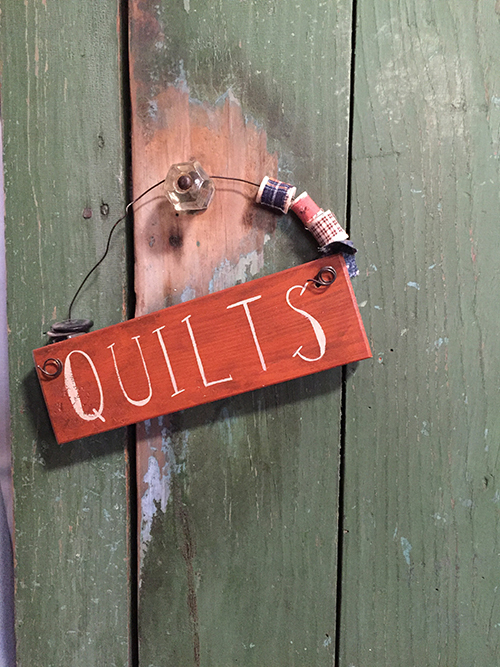 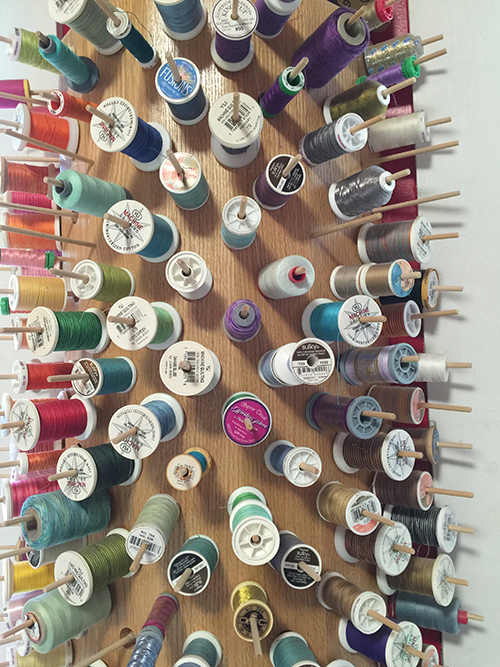 The next step is to quilt. 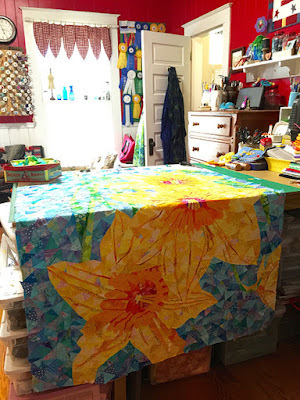 I’m not sure yet if I’ll put tulle on top of the piece before quilting. 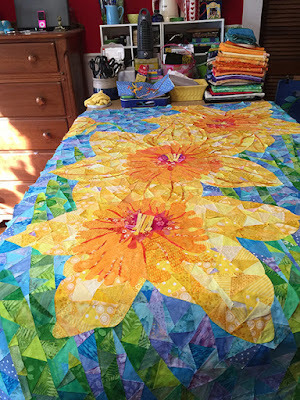 I’m a bit concerned that the pieces will all come loose as I quilt! I’ll post again when I figure out what I’m doing, and have time to work on it. Susan Carlson brought along Stevie, the life-sized salt-water crocodile. 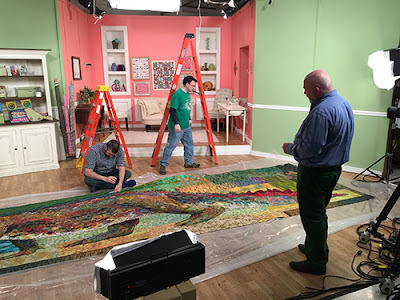 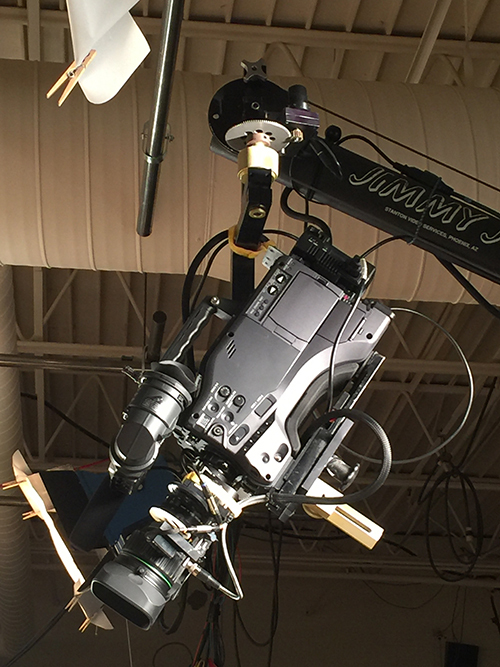 This piece measures 22 feet long, and it was quite amazing to have on set. 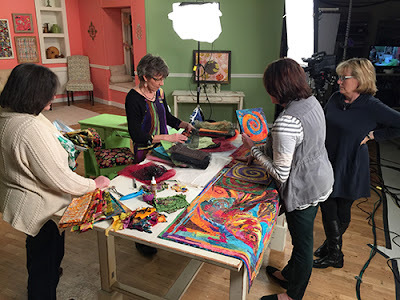 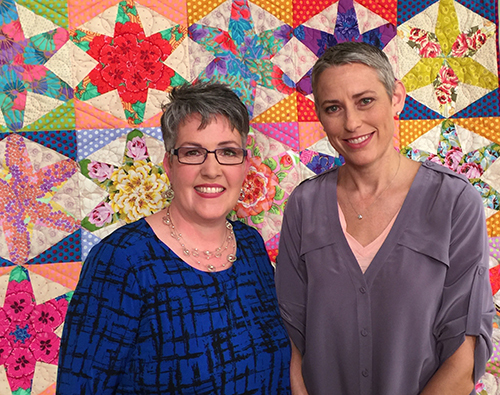 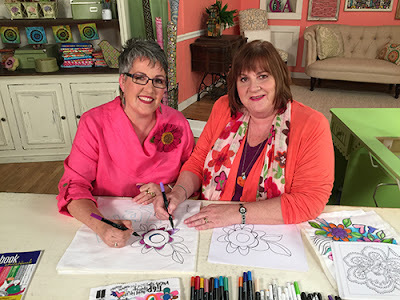 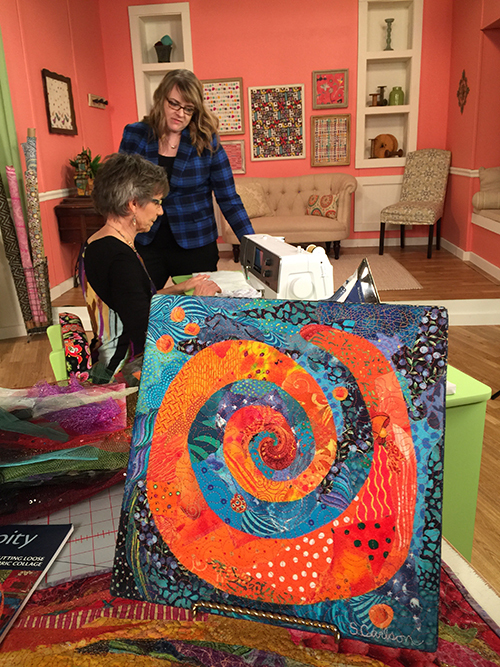 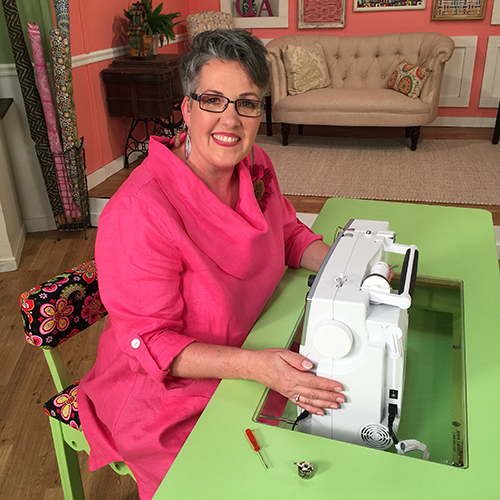 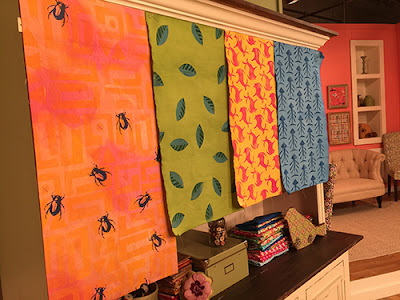 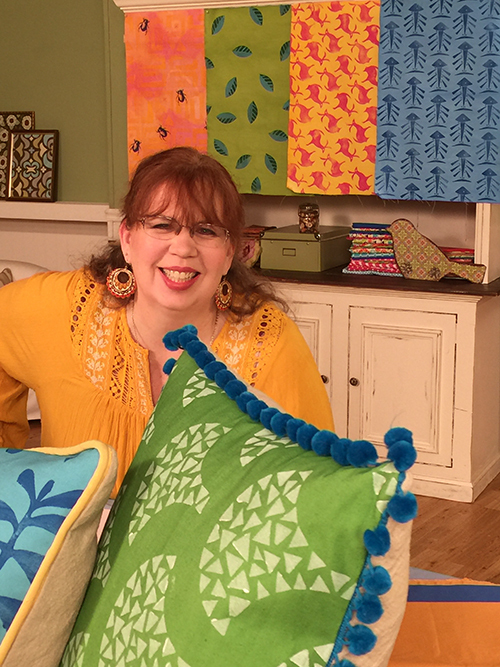 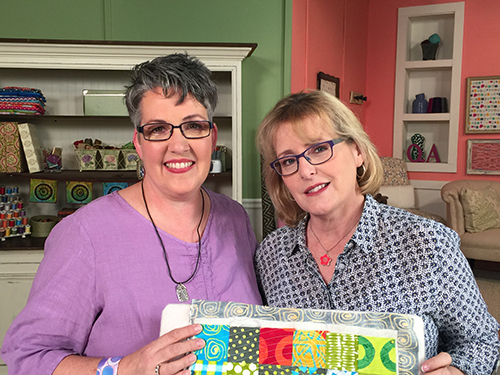 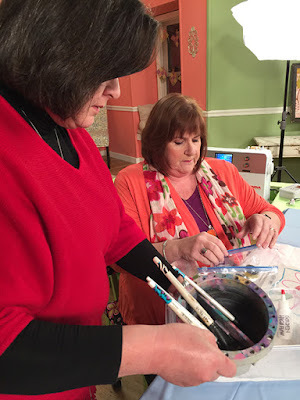 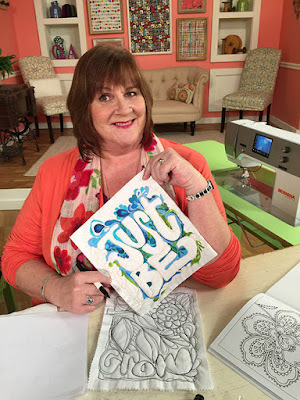 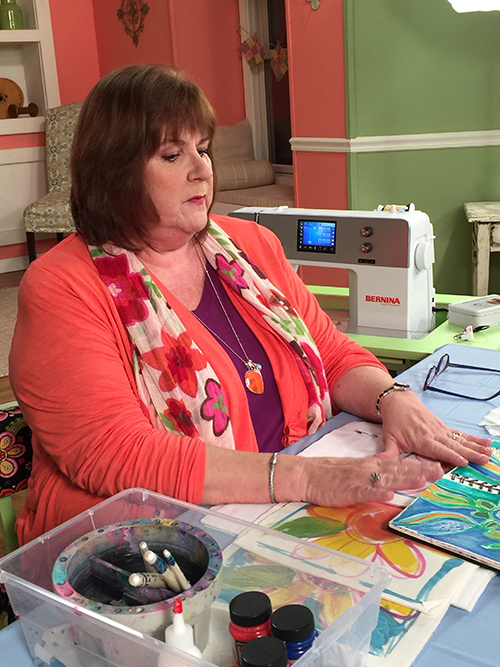 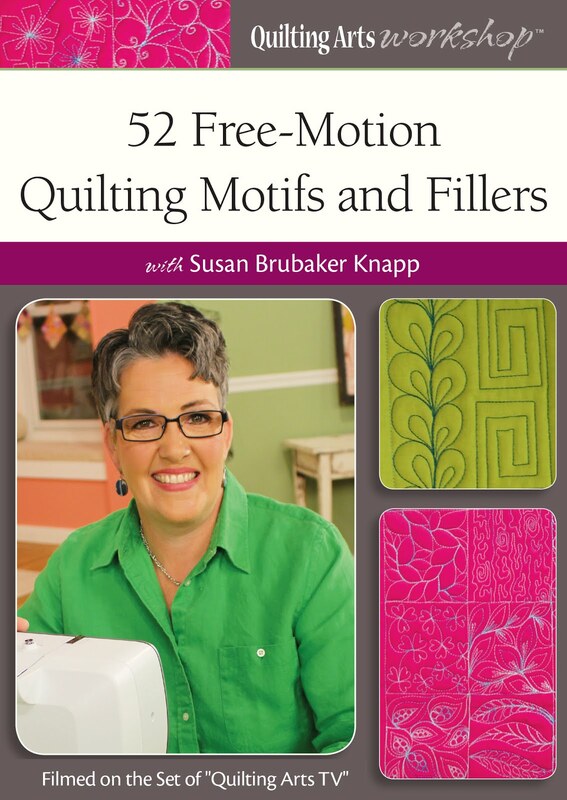 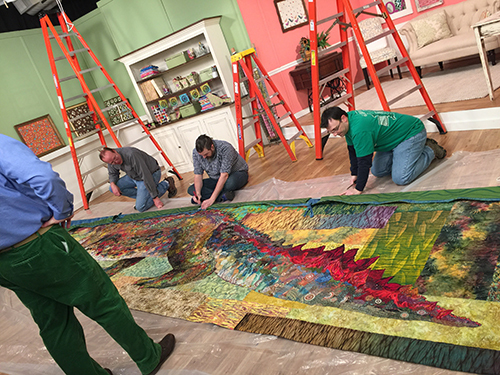 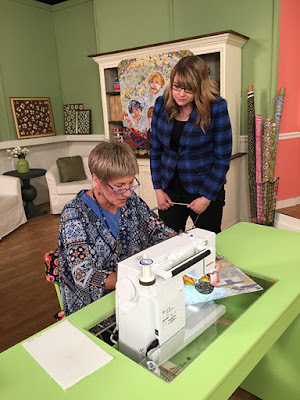 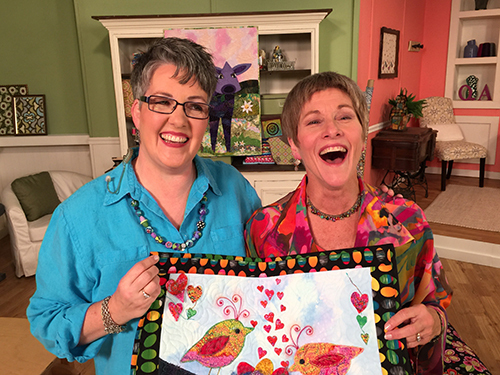 Susan also shot a segment on creating a fabric collage spiral quilt to learn the basics of fabric collage. 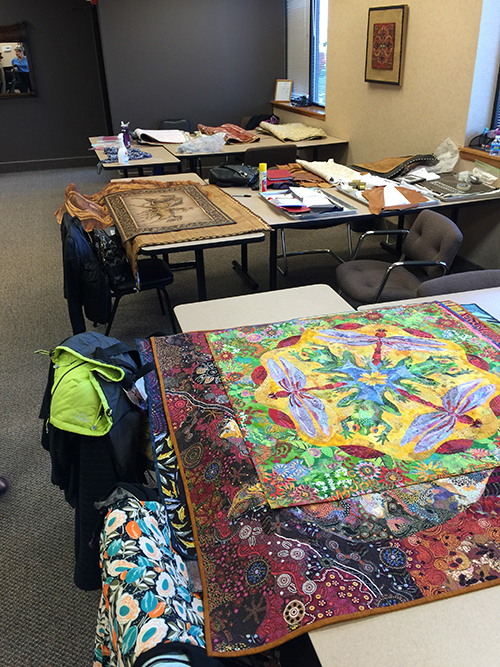 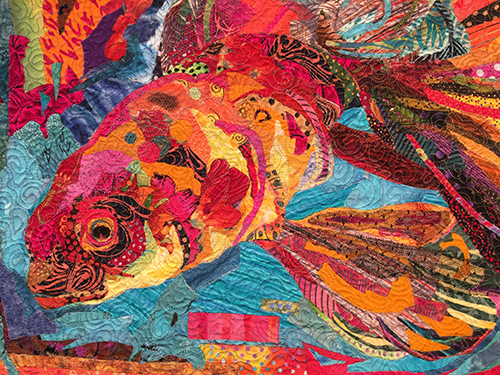 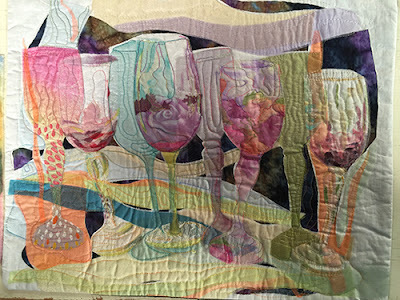 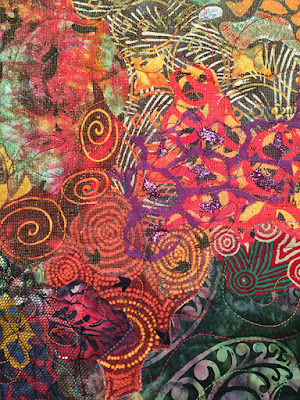 Esterita Austin shared tips for making portrait quilts; on transferring original imagery onto organza using acrylic and Lumiere metallic paints; and on using sheer colored organzas to create still lifes and landscapes. 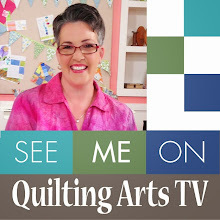 Melissa Averinos teaches how to make a yo-yo fabric brooch; a small piece of abstract wall art; and a hand-painted panel with fabric medium and Inktense color blocks. 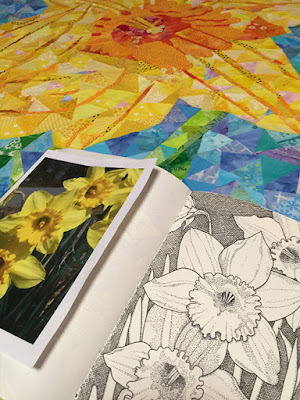 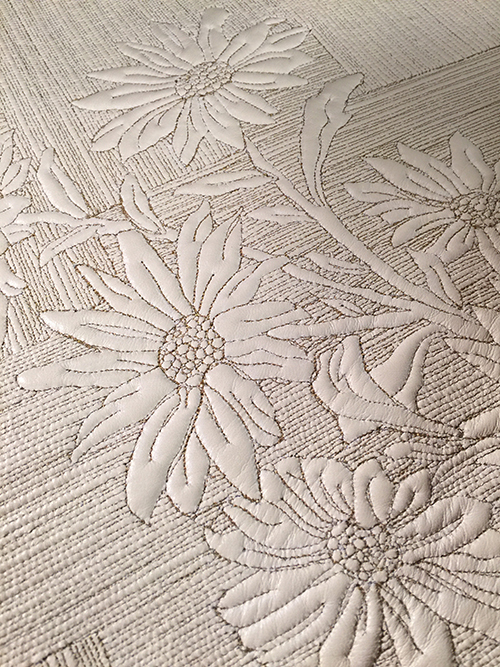 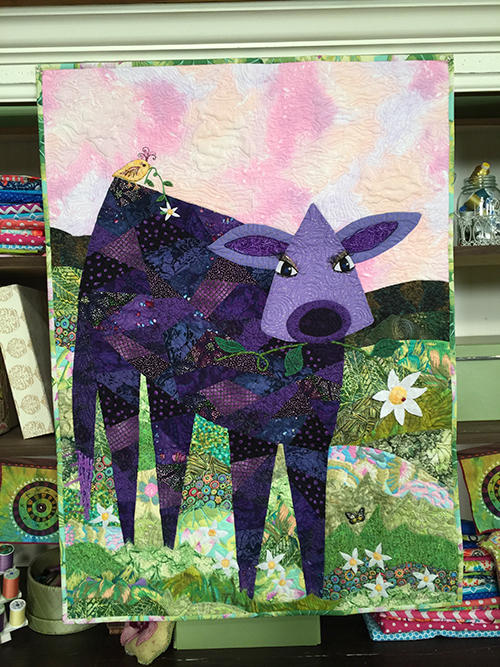 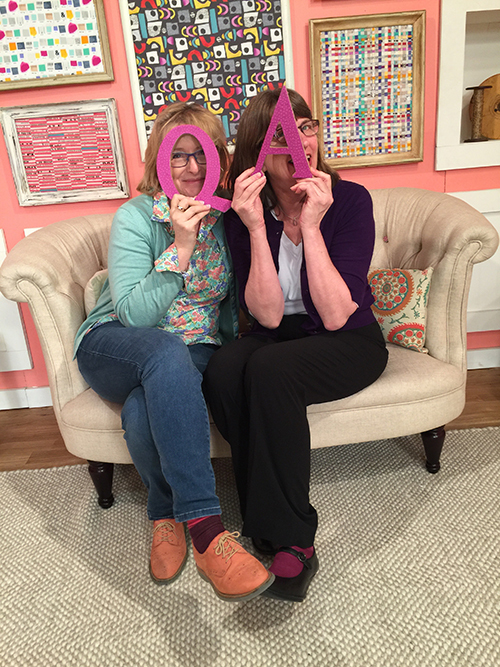 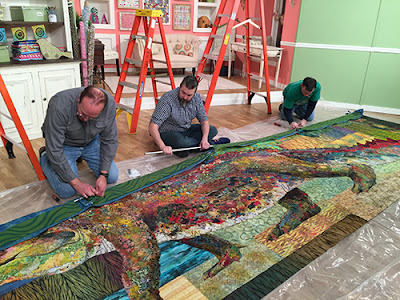 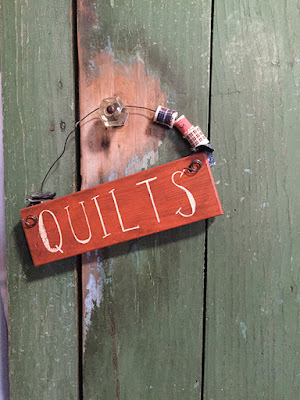 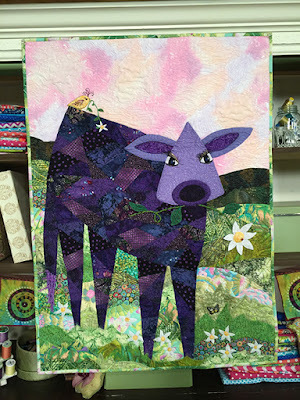 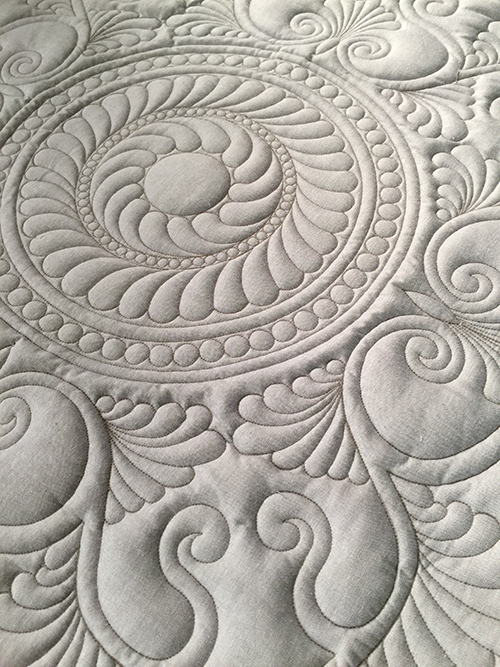 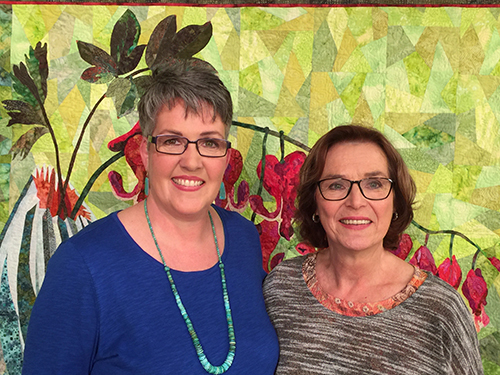 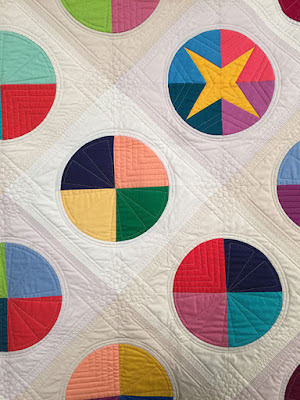 Quilting Arts magazine editor Vivika DeNegre joined me to talk about how to block a quilt so that it lies – or hangs – nice and flat. 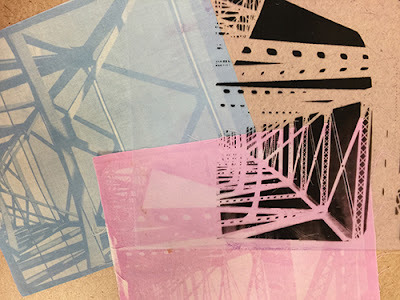 Jane Davila shot segments on SolarFast sun printing with masks and printing with photographic negative designs on transparencies; on block printing; and on Citrasolv image transfers. 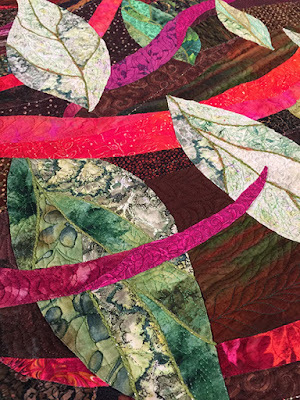 Grace Errea’s segments are on explaining value, and the 8-value scale she uses; on her “heat-set” machine applique technique; and on randomly pieced backgrounds. 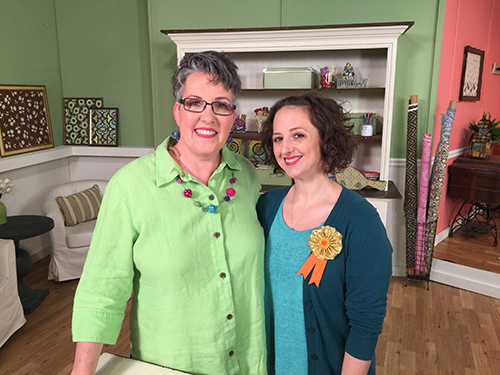 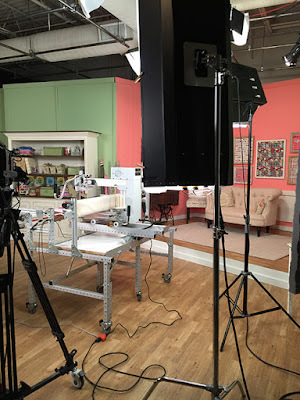 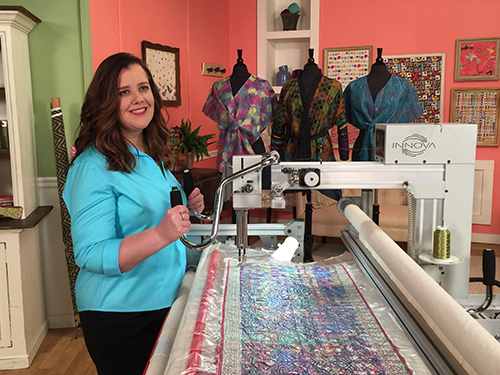 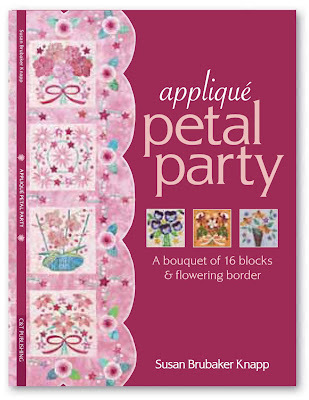 Victoria Findlay Wolfe shot two segments: on how to cut precise pieces with a Sizzix machine, then Y-seam piecing on the Hex Flower; and how to beautifully piece free form curves. Rennae Haddidin used an Innova longarm machine in her two segments on creating a beautiful quilted drawstring bag; and on applying a binding to a quilt on the longarm. 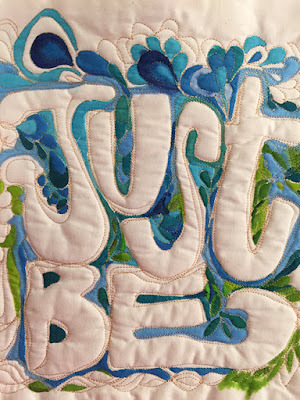 Joanne Sharpe demonstrates coloring book-style lettering quilts; quilts made from tone-on-tone white printed fabrics painted and colored with Inktense, Caran d'Ache, and Dye-na-Flow; and quilts painted and then free-motion quilted and embellished. 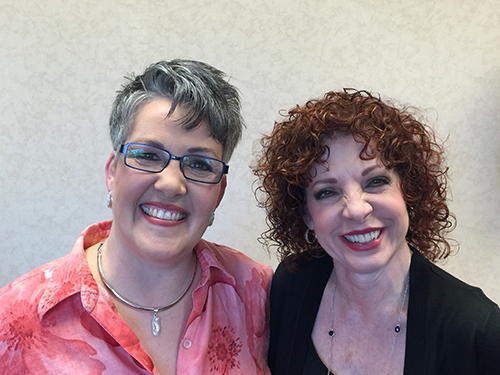 Here I am with our fabulous make-up artist, Karen, who makes us all look great! 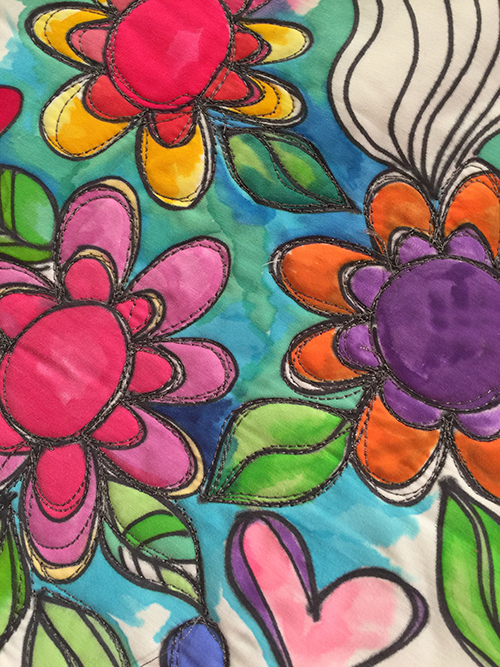 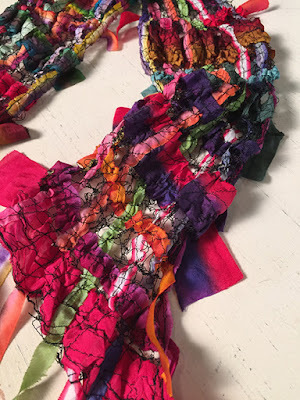 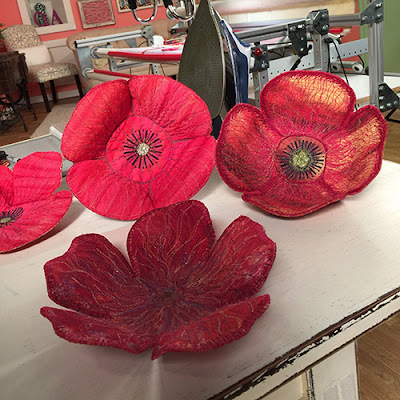 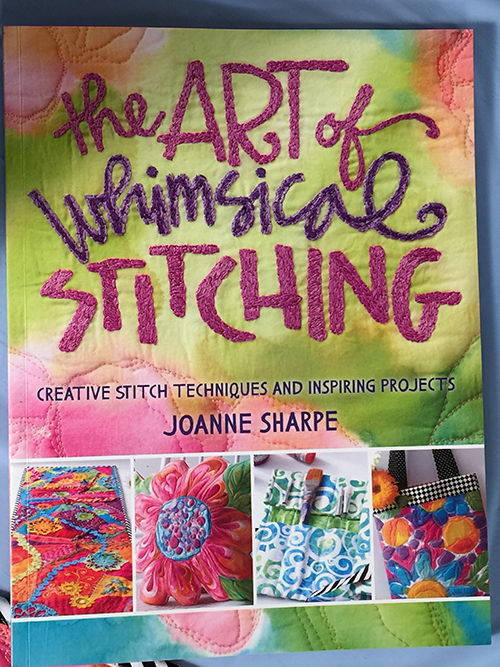 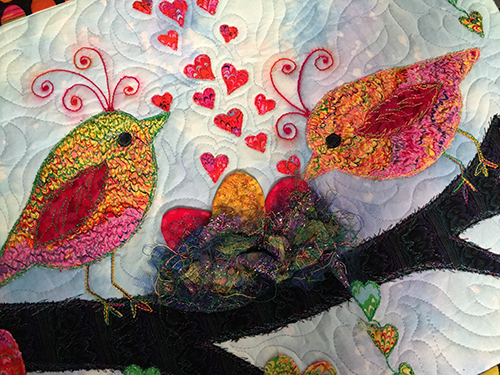 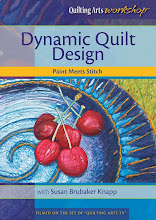 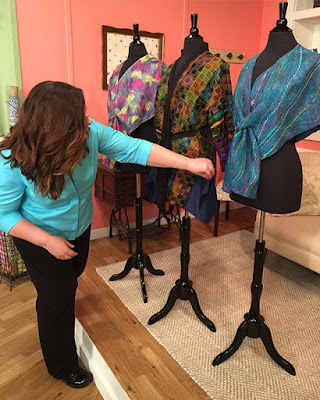 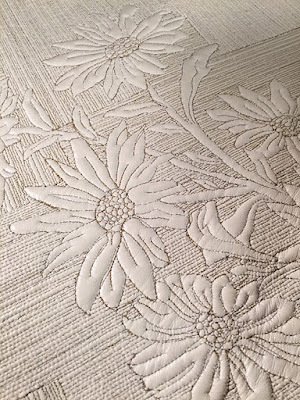 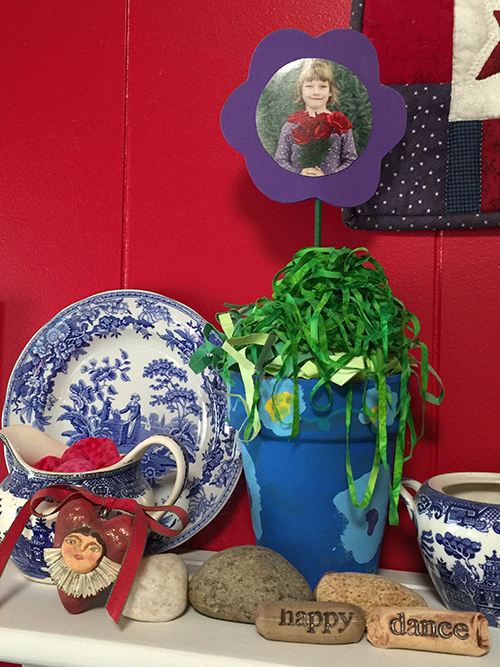 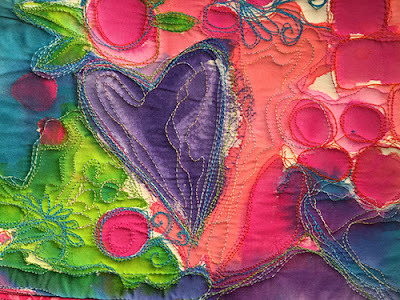 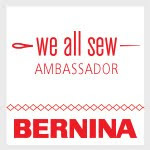 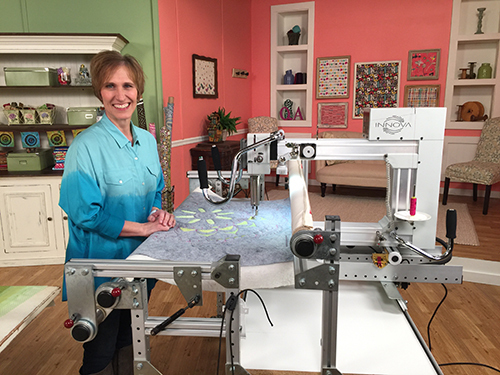 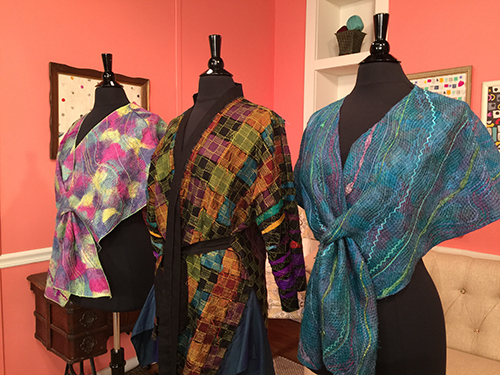 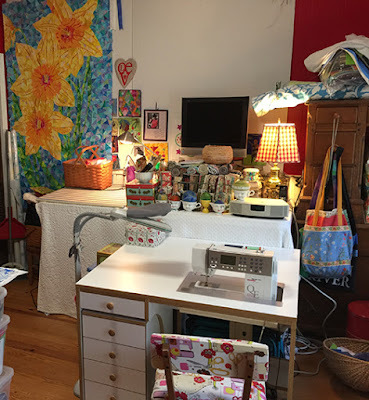 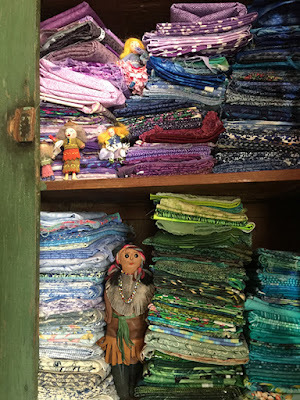 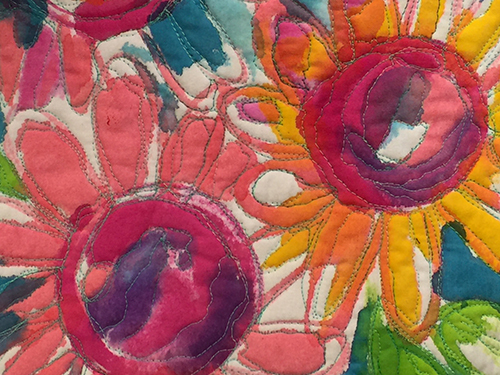 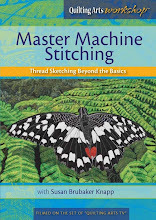 Nancy Wick taught how to thread paint and embellish on an Innova longarm quilting machine while creating a sculptured fabric poppy bowl; and how to make a scarf from fibers such as thread, ribbon, or roving. 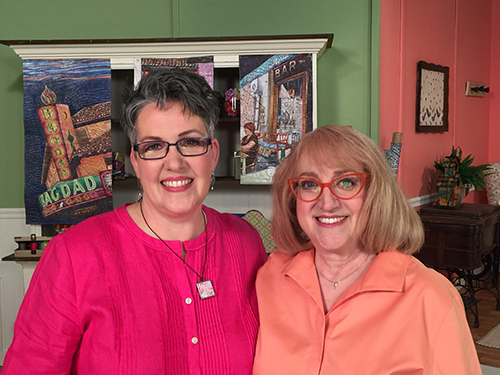 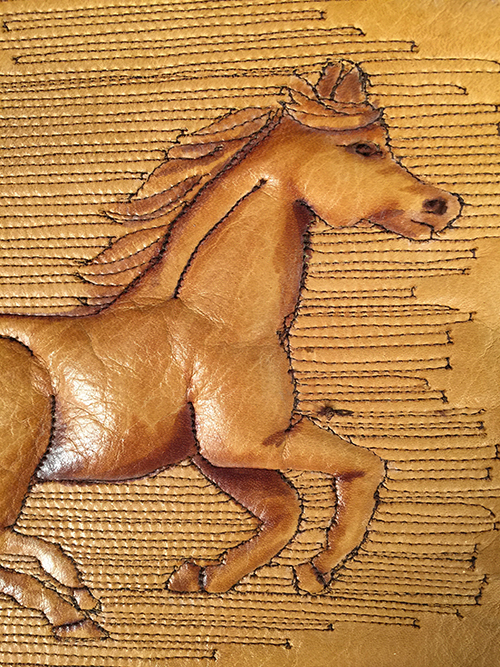 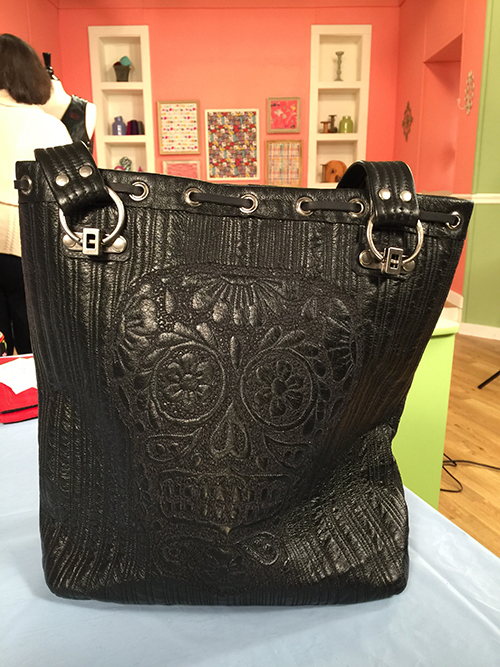 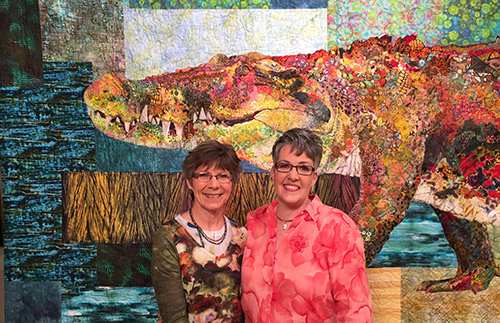 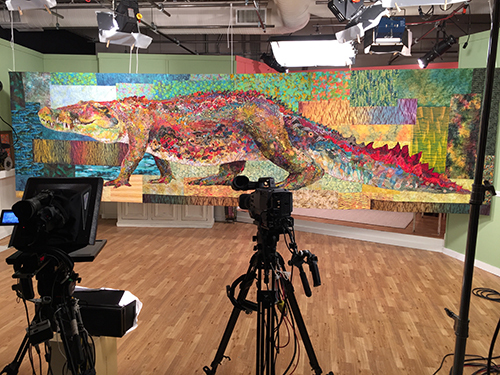 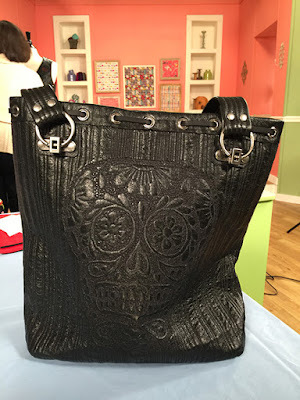 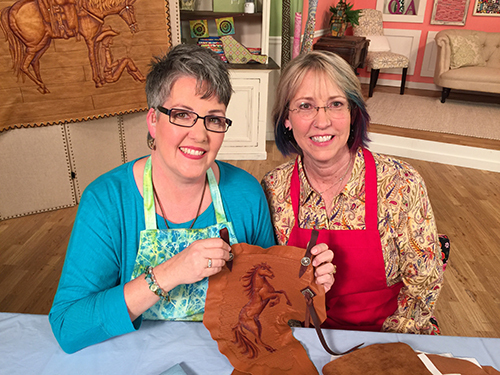 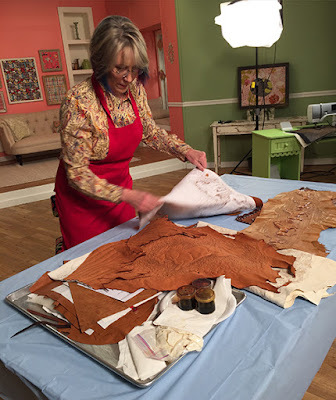 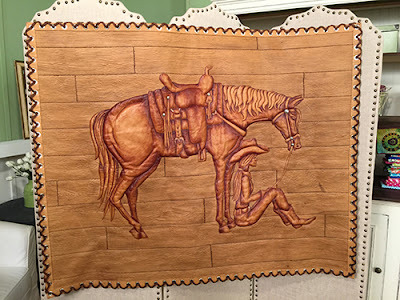 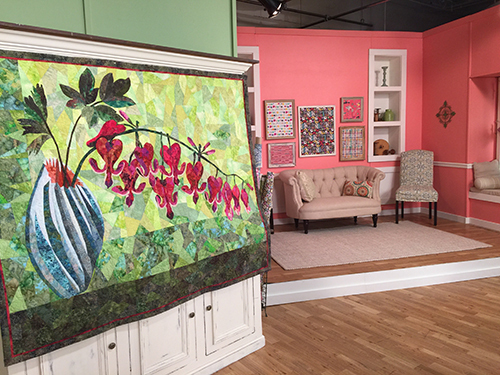 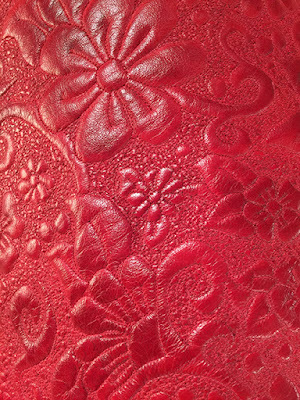 Cathy Vandiford Wiggins shot three segments on quilting leather, including how to use quilted leather panels in sewing projects such as vests, jackets, journal covers and bags; creating scraps of hides for wall art; and how to stabilize a larger piece of leather for quilting.